Watch a group of shooters for a time, and you will likely see a range of problems with trigger mechanics. 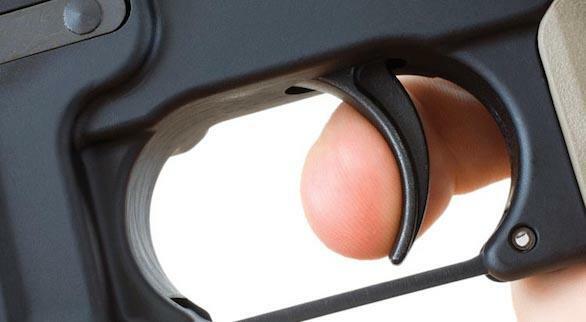 Some shooters “slap” the trigger, with the finger coming off and then slapping into the face of the trigger. Others might squeeze too tightly. In all cases, accuracy suffers–usually because the rifle is being jerked or twisted as the cartridge is going off. According to Curt Vaughn, Head of Product for Ballistic and a long-range shooting competitor, the first thing a shooter must practice is easing back on the trigger. Practice makes perfect, and dry firing can be a great benefit to improving your trigger mechanics. Another tip: while dry firing, close your eyes and focus on how the trigger feels and your finger moves while you execute the squeeze. You will be surprised how much better you can “see” the trigger pull, when you don’t rely on your eyes! Remember, good trigger discipline, combined with the Ballistic trajectory calculator will keep your shots on target, every time.